11:42AM - So, you guys want me to liveblog the music? It sounds great. Chords. Singing. 11:42AM - Music events come with musicians, and today we’ve got the Foo Fighters. Hello. 11:37AM - Review! Shuffle: 2GB, $79+, 7 colors. nano, 16GB starting at $149. Old iPod touch, 16GB starting at $199. New iPod touch at 32GB starting at $299. nano and touch are out in October. 11:36AM - “As you might have guessed, we want to include these with a couple other products.” They’ll be included with the new touch, nano, and iPhone 5. Hot. "I think music lovers will love these. We're going to start shipping these as a standalone accessory. Available today." 11:34AM - He’s calling it a breakthrough in both comfort and audio quality. We’ll see about that! 11:32AM - iPod touch now also in colors: five of ‘em. Nice. "And for the first time, we're supporting Siri on the new iPod touch." FaceTime HD camera, 720p video. 11:29AM - Hidden button! iPod touch loop. 11:28AM - It’s also getting the new Panorama feature, as you’d expect. 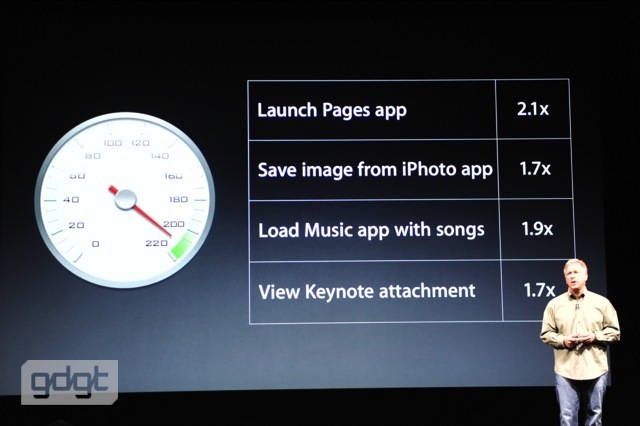 iPhoto for iPod touch will be available, too. 11:27AM - iPod touch now gets a really nice 5 megapixel iSight camera. 11:27AM - Demo over, big applause. Joz is back. “So with all this performance, would we sacrifice battery life? Of course, the answer is no.” 40 hours music, 8 hours video. Not bad. The character onscreen is reacting to the player's actions. Pretty funny stuff. Now being tickled... and chased. Stuff is getting weird. 11:24AM - Demo time for a game called Clumsy Ninja. Let’s do this thing. 11:23AM - A5, as you’d expect, with up to 7x the performance of previous touches. Makes sense, because the touch has kind of lagged behind the curve a bit. 11:22AM - Lightning, speaker, and “exactly the same 4-inch Retina display we have on the iPhone 5.” Good, because iPod touch displays have tended to be significantly worse than their iPhone counterparts. 11:21AM - 6.1mm thin, wild. “Almost as thin as the nano!” Weight is 88 grams. 11:19AM - Bluetooth support! Stream music to Jambox, wireless headphones, etc. Naturally, it has the new Lightning connector. 11:18AM - FM tuner built in with live pause. 11:18AM - 7 colors! Looking good. 11:17AM - Okay, that’s pretty hot. 11:16AM - “When we looked to create a new iPod nano, we wanted to reinvent it.” Big display! 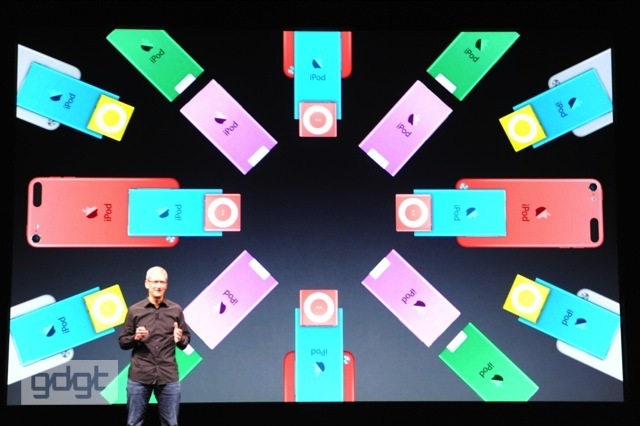 11:15AM - “We’re going to make some exciting changes to the lineup today.” iPod nano’s first. 11:14AM - Yep. Greg Joswiak is up to talk iPod. 11:14AM - Available in October! Time for new iPods? 11:13AM - New iTunes store look, not all that different from what we’ve got today. 11:06AM - New iTunes with iCloud built right in! 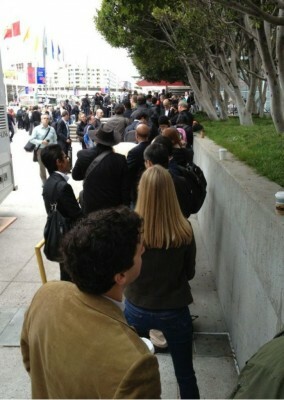 11:06AM - “We now have over 200 million customers using iTunes in the cloud.” Really? That doesn’t sound right, but wow. 11:03AM - “Today I’m happy to report that the iTunes store is available in 63 countries around the world.” Applause. 435 million iTunes accounts with 1-click purchase. Damn. 11:03AM - Eddie Cue’s up to talk about iTunes. Applause, cheers, hoots. 11:01AM - Nice, iOS 6 goes back to the 3GS. Still, how slow’s it going to run? 11:00AM - Pre-order Friday, ships 1 week later. Nice. 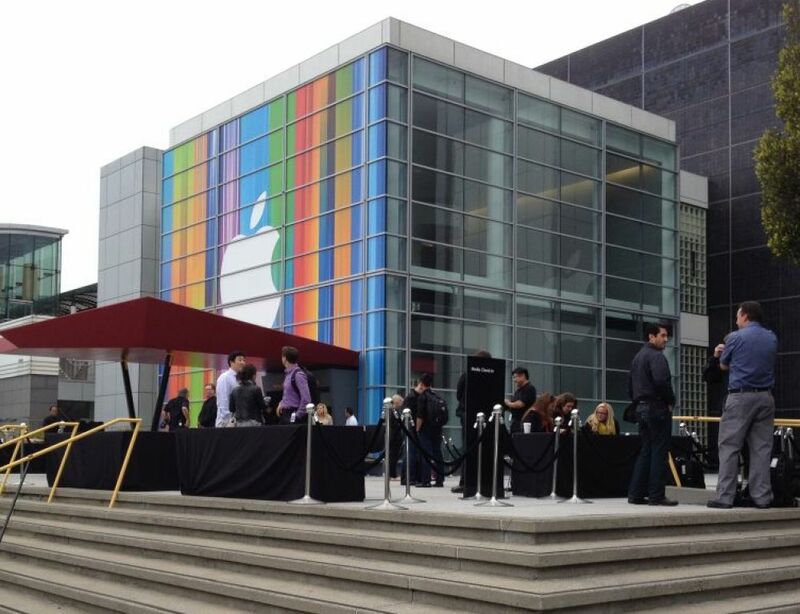 11:00AM - iPhone 4 is now free, iPhone 4S is $99, and iPhone 5 starting at $199. 10:59AM - Phil’s back: “How much do I have to spend?” Same prices! 10:55AM - Mansfield: “I don’t think the level of invention has ever been matched by any other product we’ve done.” Yeah, but you guys always say that. 10:52AM - Phil’s doing the wrap-up review on the stuff we’ve learned. “It’s THE best phone we’ve ever made.” Video time. 10:52AM - iPhone 5: black and white with a silver aluminum finish. Pretty hot, but that top strip still looks off to me. The camera isn’t quite aligned vertically! "Now I'd like to show you photo stream sharing. I can just select photos and then say share..." Scott is picking individual people he wants to share with. "We now have VIPs in mail. They're all collected in one place. It's also easier to flag messages." 10:45AM - Scott’s now showing iCloud tabs. Old news if you’re Chrome-inclined, though. Still, kinda neat. And now he’s on to VIPs in mail. Old news if you’re Sparrow-inclined, though. 10:41AM - Scott’s demoing the new Maps stuff from iOS 6. 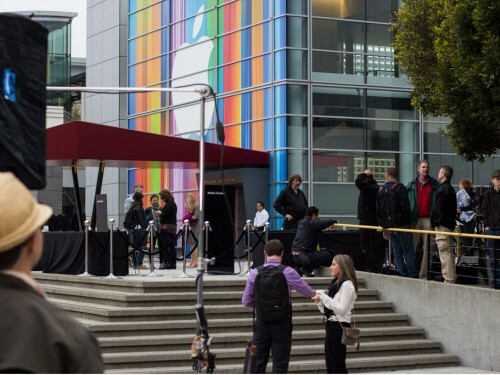 If you tuned into our WWDC 2012 coverage, you’ve seen this stuff before. It’s impressie. 10:38AM - It’s called Lightning. All-digital, 8 signal design, just as we’d seen leaked. 10:37AM - Wideband audio: Apple fills up more frequency spectrum to make call audio sound even better. Requires carrier support though, so they need carrier partners. 10:36AM - Audio system got upgrades, too! Three microphones! Front, back, and bottom. Speakers have five magnet transducers (up from three). Earpiece now includes noise canceling on your own audio out. THAT is awesome. 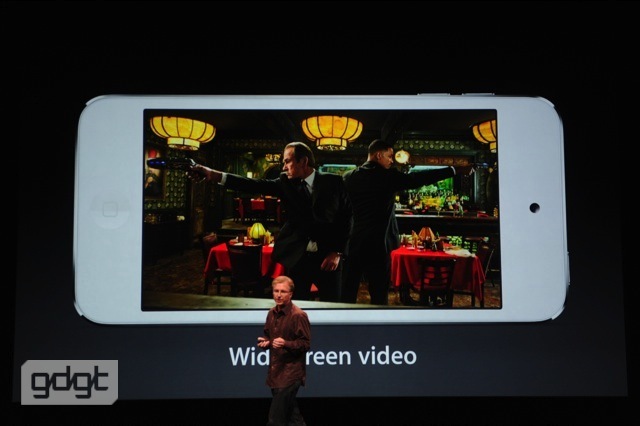 Better video: better image stabilization, face detection, and now FaceTime over cellular. 10:33AM - New feature: panorama! Just hit a button, swipe your phone around. Rad. 10:32AM - These photos are pretty incredible, but they didn’t show much low-light photography. 10:30AM - Next: camera. “If you know anything about camera design, you know the greatest challenge is vertical height. We asked our engineering team to create a thinner camera that’s better than the iPhone 4S, and they’ve done that.” Damn, that’s amazing. 10:29AM - “We’ve matched or exceeded the battery life of the iPhone 4S.” Damn, 8 hours of LTE. 10:25AM - Looks like we’re gonna get a Real Racing 3 demo. 10:24AM - “What’s next: the A6.” 2x faster CPU, 2x faster graphics, and even smaller. Smaller’s great, but what about power? 10:18AM - “Much more room to work and play. With 700,000 apps in the App Store, what happens to them?” Apps fit the same in the device, centered. Nice. 10:16AM - “It’s really easy to make a new product that’s bigger. That’s not a challenge.” Retina display, and it’s taller. “The new screen on iPhone 5 is a 4-inch display. 1136×640. 10:15AM - It’s built to the most exacting standards Apple has ever taken on. Thinnest, lightest phone Apple’s ever built. 10:11AM - 90% of all apps are downloaded every month. “The average customer now is using over 100 apps. 10:10AM - “Of course, the App Store is the place for all of us. We recently crossed 700,000 apps in the store.” 250k are iPad apps. That is an enormous milestone. 10:07AM - Last quarter: 17 million iPads sold. A record for sales of the iPad. Damn. 17 million is a LOT. 10:05AM - “Onto the Mac. We’ve had a very busy summer.” Mountain Lion: the first with iCloud built right in. Tim’s quoting effusive reviews. 7 million downloads of Mountain Lion. 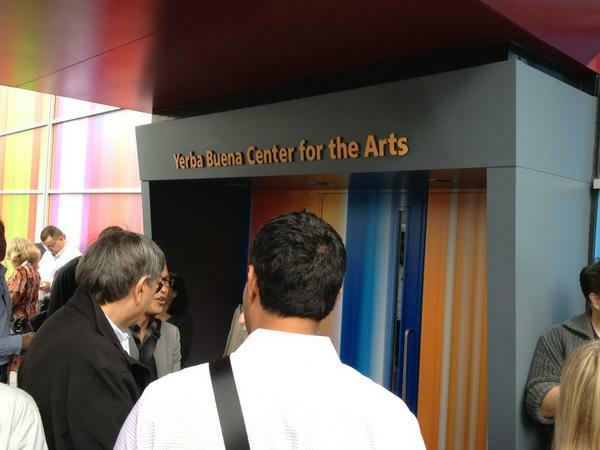 10:04:34 AM PDT "We welcomed 83m visitors to our stores last year." "We're opening in our 13th country on friday." 10:01AM - Apple Store in Barcelona! 10:00AM - Tim is out, applause. 10:00AM - Lights are going down! "Ladies and gentlemen, we'll begin shortly. Please switch devices to silent mode." Some epic pop on the sound system. And we're in our seats. And they are so so comfy. 9:47AM - Ok! Broadcast media is being admitted, which means I’ll be seated within a few minutes! The doors are closed.Nobody is allowed to get in. Today we will see new iPhone 5 and new iPod touches and iPod nanos. 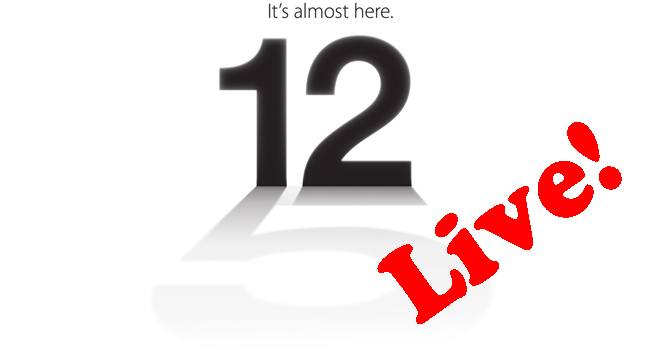 September 12 at 10:00 am PT Apple will introduce the new iPhone 5 (or whatever the new iPhone will be called). New smartphone will it be taller, thinner, unibody case. We'll find out soon enough. We're also hopeful that the iPod lineup will be getting a refresh too, and there'll be plenty of time for other surprises. Live coverage begins Wednesday, September 12 at 9:45 am PT. Теперь интересно посмотреть на iPhone 5 в живую Будем ждать!